In a democracy, you’re a fool if you think your vote matters, and a bigger fool if you don’t vote. This will cause you to sometimes feel foolish. 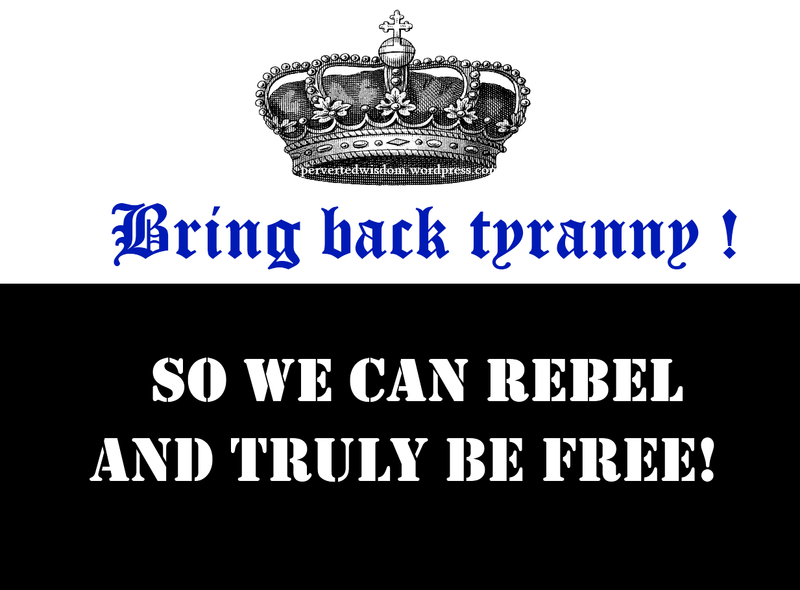 Under tyranny, you’re a fool if you rebel and fail, a hero if you succeed, and craven if you go along with it. In that sense, a dictatorship offers more choices–and more meaningful ones at that. This entry was posted in humor, philosophy, politics, Uncategorized by Alan Brech. Bookmark the permalink.